A University Police car on campus. NU Police recently received training as part of the the One Mind Campaign. 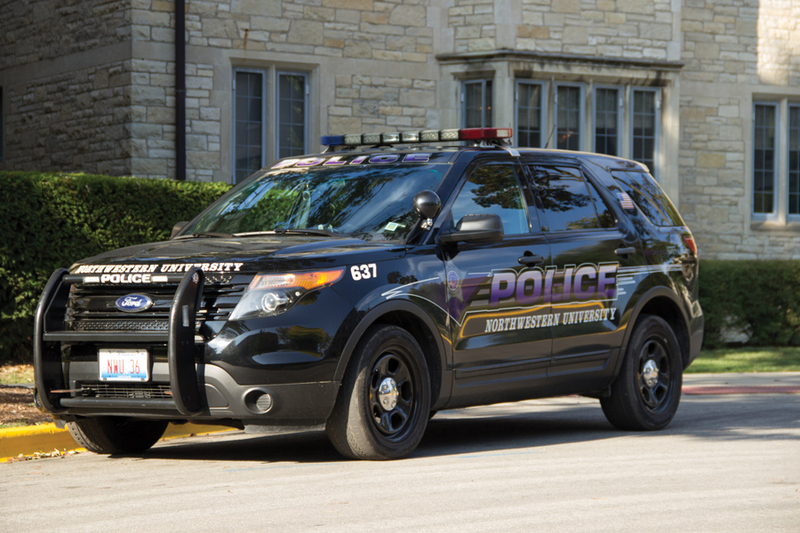 University Police officers joined the Evanston Police Department in completing training for the One Mind Campaign, which is aimed at helping police departments recognize symptoms of mental illness and use de-escalation techniques. Deputy chief of police Gloria Graham said the campaign “aligned well” with the department’s goals. To meet the requirements, the department partnered with the Counseling and Psychological Services and CAPS executive director John Dunkle to create a policy addressing how UPD officers respond to people affected by mental illness. The initiative also required UPD to train 20 percent of police personnel and dispatchers in crisis intervention, a requirement UPD had already met before the department pledged to the campaign, and all police personnel and dispatchers trained and certified in mental health first aid. The International Association of Chiefs of Police began the campaign in 2016, which requires law enforcement agencies to pledge to implement certain requirements within 12 to 36 months. UPD finished their requirements in July 2017. UPD’s director of threat assessment Michelle Hoy-Watkins and officer Lisa Jackson became certified instructors in mental first aid after a 40-hour process, then trained other members of the department in mental health first aid. IACP president Louis Dekmar said the campaign was part of continuing effort to improve police response to mentally ill people. He said that across the country, funding for mental health services has not kept up with need, forcing jails to become the largest providers of mental illness treatment. Jamie Ramsey, co-president of the NU Active Minds, said it is important for people in positions of power to understand the effects of mental illness to give students peace of mind. “I’m hoping that this leads to students feeling like police and people in positions of power are more there to support them and help them rather than to punish them,” the Weinberg senior said.